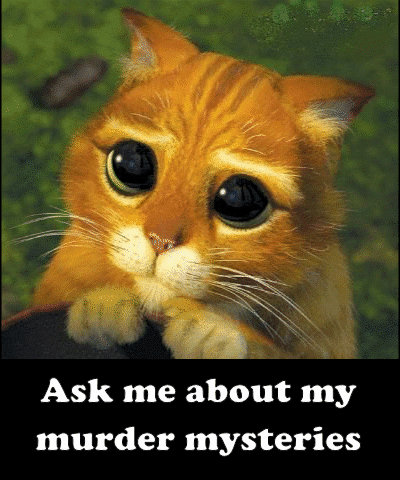 Steve Hockensmith is the author of more than a dozen mystery novels. Trust me, them hard-case crime writers ain’t so tough. Today, Steve will touch your heart. Grab a hanky. You’ve been warned. I wish this were my job description: Make stuff up, write it down. That’s what I enjoy about being a writer. But if you’re trying to get somewhere with your writing — having people actually read it, for instance — there’s a bit more to it than that. and keep it real… but not too real (see A and B). But I set that rule aside recently because… well, I couldn’t help myself. I was feeling something and I had to share it. So I started writing a tweet which grew into a message on Facebook which grew into a blog post. And now it’s grown into a guest blog post, because here it is again. Someone broke the passenger-side window out of my car and stole the shoulder bag I take to work every day. I guess they thought it would have a laptop in it. No such luck for the thieves. And no luck for my family. Because you know what was in that bag? Two monkeys and an owl. Bobo, Lou from the Zoo and Barney the Barn Owl, to be specific. 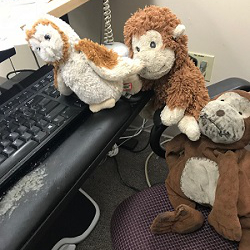 Every day for the last year or so, my son Mojo picked out three of his “guyzos” (his huge posse of stuffed animals) for me to take to work. During the day, I’d send him pictures of the guys helping me do my job. The makeup of the group changed every day except for one constant: Bobo. Bobo always came with me. Because Bobo was special. Mojo is autistic. There were times a few years ago when it was almost impossible to get him to communicate or cooperate or control himself. And you know who he almost always listened to? Bobo. Bobo could calm him down. Bobo could get him to listen. Bobo could get him to talk about himself and what he was feeling. Bobo shared Mojo’s distaste for shows of affection, though. “No lovey-doveys!” they liked to shout when things got too icky-sentimental. So I’ll honor Bobo’s preferences and wrap this up. My wife and I were in a restaurant celebrating our 21st wedding anniversary when Bobo was stolen. When we came out and realized what had happened, we drove around the neighborhood looking for the bag and the guyzos, hoping the thieves would dump everything when they realized they hadn’t snatched anything of value. To them. We were in tears. 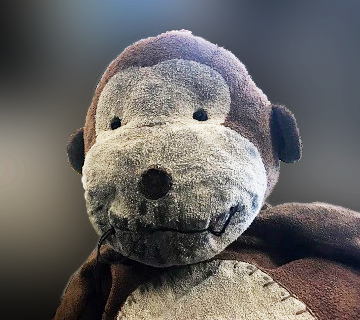 Not over an old, stained, to be honest slightly stinky stuffed monkey. The tears were for what Bobo represented. What he gave us. A narrow window into our son’s mind and heart. That window is wider now. Mojo’s doing fine. He listens and communicates and (usually, in his unique way) cooperates. This morning, when my wife and I told him what had happened to the guyzos, he said, “Oh, no… oh, no.” His lips trembled, and tears came to his eyes. And then, after we talked about it a little longer — about how special Bobo was and how much we would miss him — he said, “Oh, well.” And he was ready to watch his Saturday morning cartoons. He’s still hurt, I can tell. But at this very moment he’s watching Bugs Bunny and eating a doughnut. He acknowledged his pain, and then he moved on. What we all have to do all the time. Mojo can do it, too. I couldn’t always say that. A stuffed monkey helped that happen. He’s gone now, but the window he opened remains. I broke my own rules. I didn’t worry about being fun. I didn’t worry about keeping it positive. I didn’t worry about getting too personal. Bobo deserved a tribute, so I wrote one. That touched people. And many of them responded in a way that touched me. 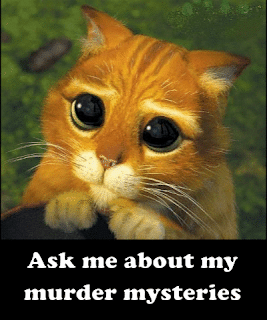 Will that help me sell more mystery fiction? No, and I don’t care. For me, it’s a reminder that writing (and, yes, that includes blogging and tweeting) can be its own reward. Which is something we writers — particularly we genre writers worried about finding an audience — might occasionally forget. One of my favorite cartoon strips was always Calvin and Hobbes, because I loved the way that whenever they were alone together, Hobbes was a tall living tiger, full of wisdom and wit, and when an adult was around, Hobbes was a small stuffed animal that sat where he was put. Stuffed toys aren't toys, they're companions. My Raggedy Ann (original, full-size) still sits on my bureau, which is the equivalent of a rocking chair for her now that she's old and retired. These days her main job is holding a disreputable stuffed coyote and keeping him in line. But for those who do care, response has been very nice. A couple of weekends ago, Dash went to Malice Domestic and so many people knew who he was, talked with him, etc., and he loved it. It's all a balance, clearly. Thanks again for sharing the story here. Lovely. Childhood imaginary ( and stuffed ) friends are the foundation of imagination. Oh crap, tears and tissues this early in the am. That's beautiful, I mean really beautiful. I like that. Mojo, blessings on thee, little man. It's great that you still have your Raggedy Ann, Eve. It was heartbreaking to me and my wife that Bobo wouldn't be with us forever. All the other guyzos could go when their time was done, but we pictured Bobo retiring to a place of honor on the shelf where he could keep watching Mojo grow up. Instead he fell victim to a smash-and-grab thief looking for laptops and cell phones. It's sort of like "The Velveteen Rabbit" for 21st century America. We had some close calls with Bobo similar to yours with JoJo, Art. I can remember several long drives back to this playground or that day care center to find the guy. And I'm a little jealous that Dash (and JoJo?) have been to Malice Domestic and I still haven't! I totally agree that stuffed animals (and toys in general) are the foundation of imagination, Janice. Recently I was talking with a writer buddy about what inspired us as kids, and he mentioned watching "Wild Wild West" and pulling out his toy cowboys and making up his own stories. And I thought, "Wow...pulling out your toy cowboys and making up your own stories. In a way that's what I do whenever I sit down to write." Sorry for the a.m. tears, Anne -- I hope you had enough Kleenex on hand! It's very touching. I hope the little guyzo has recovered from the loss of his friend. Eve's comment reminded me of my bears, one a teddy and the other a panda. I kept them for a long time, but they may have been swept away in hurricanes. My mother tried to name the panda Mary after its giver, but even as a toddler, I wasn't having it. He insisted on the name Bronc. He wore my little boy jean-shorts, a holster, and a vest with a tin star. Bronc lost both plastic eyes in a shootout, but my mom performed a double corneal transplant with a couple of buttons. Mojo sounds like a wonderful little guy, much like his dad. Steve, you brought emotion to readers with this. Maybe you should write a short story about it. You're half-way home. Fantastic column, Steve. Best to Mojo! Thanks for the well wishes, WJM and John! Mojo's still doing well (though he could have used some of Bobo's positivity at school last week, his teacher tells us). Leigh -- I love the idea of a stuffed panda a mother wants to name "Mary" but who insists on being a rootin'-tootin' lawbear. Sounds like a picture book just waiting to happen.